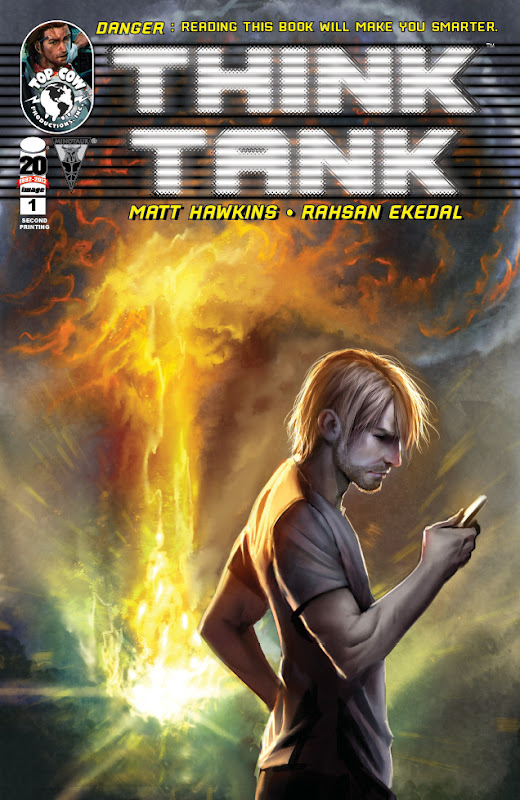 THINK TANK #1, the debut of the new Image Comics/Minotaur Press mini-series written by Matt Hawkins with art by Rahsan Ekedal, has sold out and will receive a second printing. The science-infused series is about the journey of Dr. David Loren, genius and former child prodigy, whose change of conscience about developing weapons has explosive consequences — and not the kind his military bosses expect from him. Originally solicited as a four-issue miniseries, THINK THANK has now been expanded to a be a longer series, with Hawkins and Rahsan signing on to continue the series for as long as they have a story to tell. The second printing of THINK TANK #1 is due in stores on August 29 and can be ordered now with the Diamond code JUN128162.